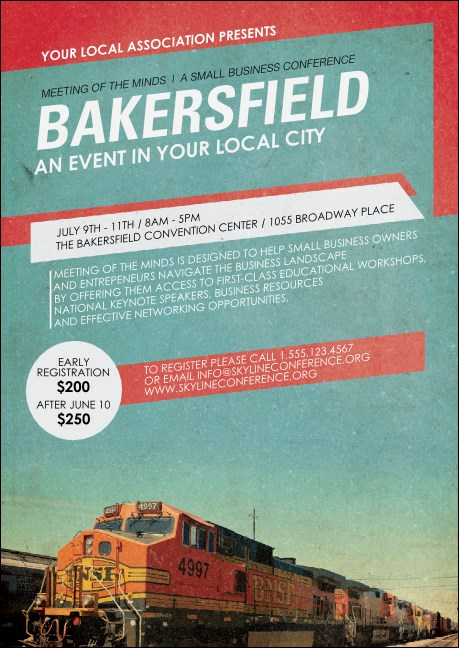 Share news of your next big event with your future attendees and share a gift, too, when you send the Bakersfield Postcard. Printed in vibrant color, this postcard features the artful image of a train coming down the tracks. Provide guests with all the information they need, and an unforgettable image they'll save for years to come. TicketPrinting.com offers a high speed route to event sales.